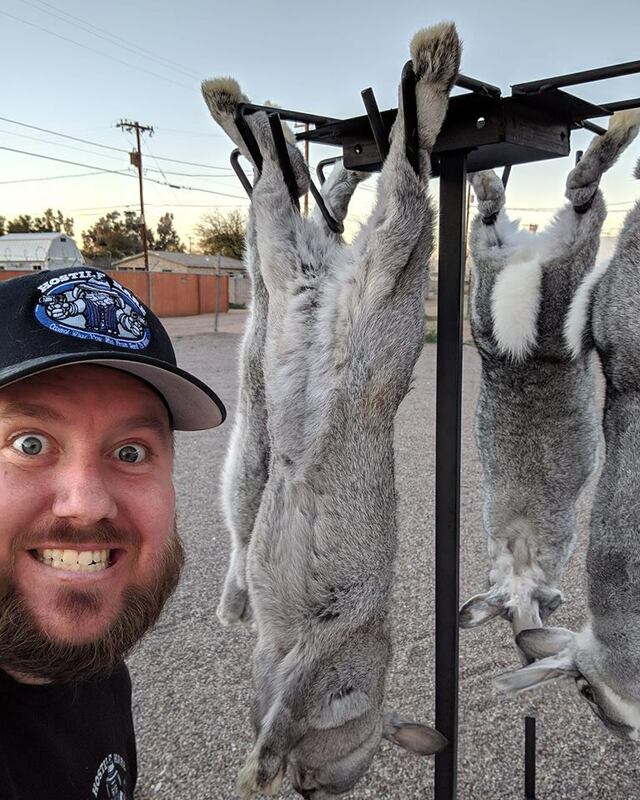 If you have ever butchered rabbits, you know that the limitations of having only one station to hang, skin, and dress a rabbit. The LCR (Last Carousel Ride) Quadruple Rabbit Butchering Station is designed to increase speed and efficiency on butchering day. Dispatch 4 rabbits, hang them up and become the one person slaughter machine. Or, have a friend help you on the opposite side of the LCR doing half of the job while you do half. This action allows for muscle memory to truly be tapped. WEEEEEEEEEEEE! Who says death ain’t fun? Send the bunnies on one Last Carousel Ride as the go off to freezer camp!